Is Local Search Marketing About to Get Easier? Is Local Search Optimization About to Get Easier with Moz Local? Showing up in the local search listings isn’t necessarily a complicated task, but it’s not necessarily straightforward either. Before Google decides to place you in their local listings they want to confirm that your location and contact info is legitimate. After all they don’t want to go directing people to abandoned buildings, or bogus phone numbers. Such a thing would be a bad user experience. So, in order to confirm your address and phone number, Google fact checks that information by looking at other sites and directories to see if your information is cited consistently. It essentially does a scans different directories like Yellow Pages, Citysearch, and Yelp to find the name of your firm, address and phone number. If your name, address, and phone number are found to be consistent across multiple sites, that information is deemed to be more reliable. Therefore Google’s more likely to list you in the local search results for your location. On the other hand, if you have multiple listings with different firm names, or old addresses and phone numbers, Google’s not sure which data is accurate. Therefore they’re not going to list your business in the local search results. Sounds simple right? Just make sure that your business information is consistent across multiple directories. Unfortunately, if you’ve ever gone down the path of claiming or updating directory listings for your business you might have found a tangled mess. If your law firm has ever changed names, or moved locations, the chances are high that you have multiple duplicate listings with inconsistent information. 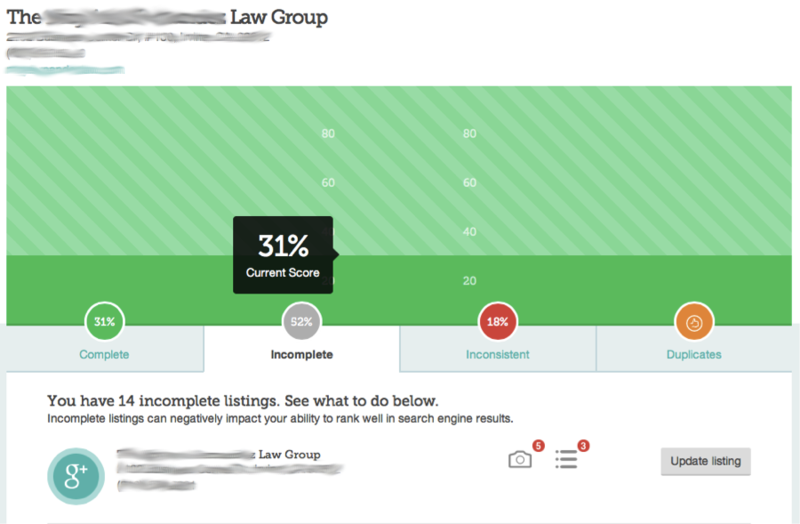 We see this on a daily basis at Mockingbird, and we’ve spent weeks in some cases cleaning up “bad listings”. The problem is that these listings tend to propagate and spread across sites, and there’s no central place to update them. In short, it can be a nightmare to clean up. And it’s not something your average attorney has time to worry about, or should even have to worry about. That’s why I’m ecstatic to see a tool created under the guidance of one of the most prevalent names in local search marketing, David Mihm. Yesterday, in David’s Moz blog post, announcing the release, he described the initial goal of Moz Local as being to “solve the fundamental pain points of local search “ensuring accurate, consistent business listing information on the important sites on the web”. If you’re using Moz Local or any other similar service, like Yext, it’s important to realize that these aren’t a one stop solution for your local search marketing efforts. But, it will help you manage some of the most important listings and get a good start, which is probably more than much of your competition is doing. While Moz Local’s paid search tools will help you easily manage and update your directory listings from one place, some of its most useful tools are actually free. 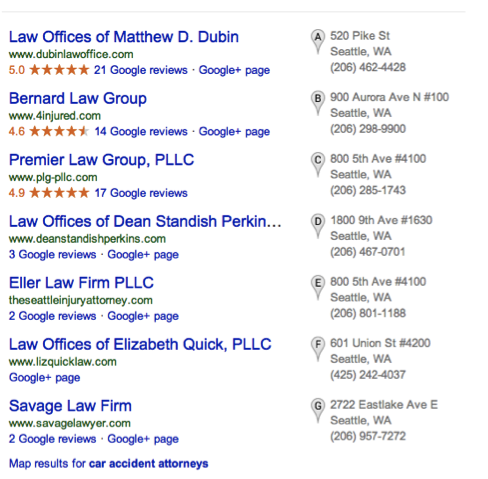 If you’re curious how your firm is doing in local search, they have an easy tool to check your listings. All you have to do is enter your business name, and zip code. After you enter your business info, you’ll receive a report to show you how your business is doing in local search, and highlight listings which are incomplete, inconsistent or duplicate. So, even if you don’t pay to manage your directory listings you can get a health check to identify discrepancies that may be holding you back in local search. If you’ve never paid attention or examined your firm’s local listings you might be surprised.